Pretty Things: Photo Cards and a Giveaway (and meet Brandi Hussey)! Photo Cards and a Giveaway (and meet Brandi Hussey)! One of my dear friends Brandi Hussey is having a wonderful giveaway I just had to tell you about. Most of you may know Brandi from her iconic Color Palette Blog Walk, an original idea that I finally got to take part of this past Walk. Her blog is also FULL of fantastic information -- you REALLY need to go and become a follower! 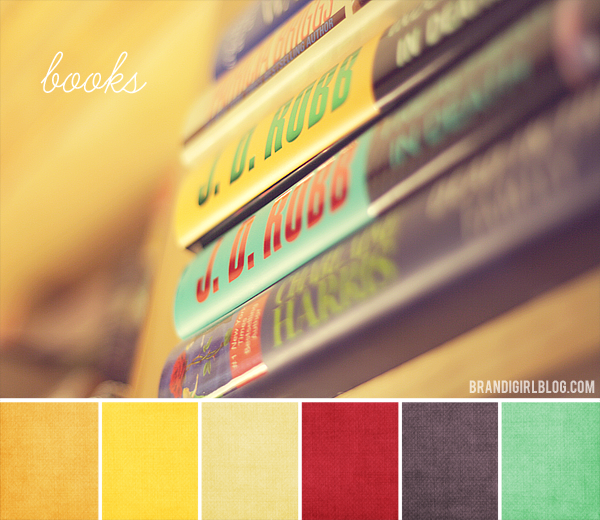 My favorite palette Brandi did for the last walk -- of course it would be, it's has books! 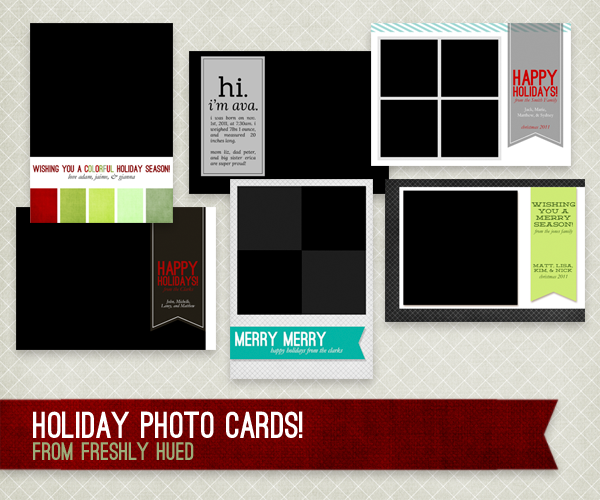 She also writes Freshly Hued, which is an amazing source not just for jewelry designers, but anyone interested in making their photos better and learning tips and tricks. As Brandi says, "My goal with Freshly Hued is to make blogging easier, faster, and more colorful by creating templates that are versatile and easily customizable." You just cannot beat handmade, and she's giving away not one but THREE wonderful kits. Click here to read more about it, and pass on the word! Thanks for the super kind words, my friend! !